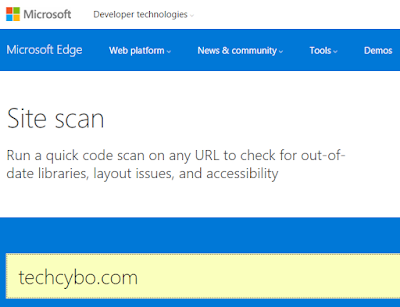 Microsoft introduced new Site scan feature, this code scan helps to identify the errors and suggestions for your website. 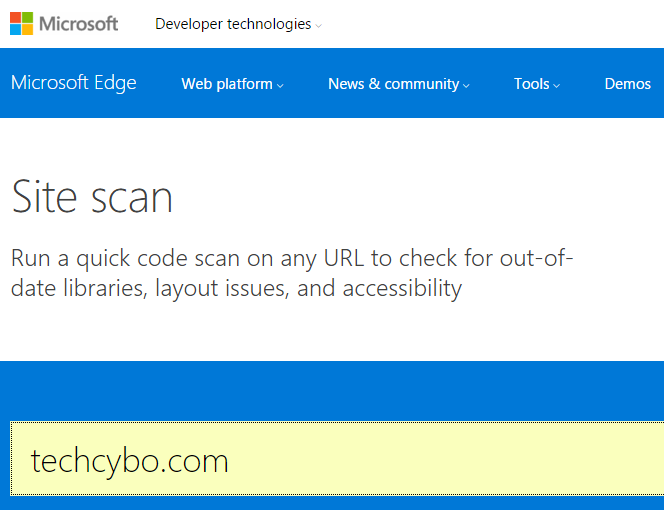 This scan check for Outdated data-libraries, layout issues and accessibility. The data library scan used to determine the outdated frameworks or libraries. 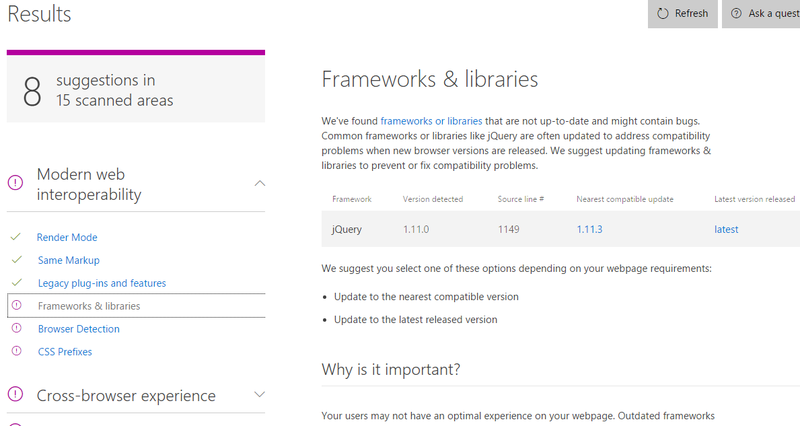 If your website using jQuery version 1.11.0 and this scan finds its outdated and the newest version that suits your site. This tests check for Modern web interoperability, Cross browser experiences and windows features like flip ahead browsing, Windows tiles compatibility and many more. 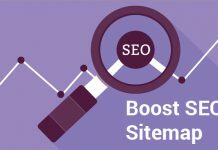 Here you can see the suggestions to improve your site.